Applications are invited from the citizens of India as defined in Article 5 and 6 of the constitution of India for filling up the following vacant posts in the establishment of the Judicial Academy, Assam. Reservations would be as per existing rules. Educational Qualification: Graduate with Diploma/ Degree in Information and Library Science from a recognized University. Officers of Central/ State Government or Universities holding analogous post. Desirable: Knowledge of Computer Application in a library. 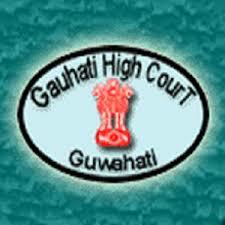 Educational Qualification: Graduate with 7 years service in the establishment of Guwahati High Court/ District Court/ NEJOTI with proficiency in Computers. Educational Qualification: Graduate with Diploma in Computer Application. Educational Qualification: Matriculation or equivalent from a recognized Central or State Board having valid driving licence for light motor vehicle. Educational Qualification: Matriculation or equivalent from a recognized Central or State Board. Educational Qualification: Minimum 8th standard pass but shall not be a graduate. Educational Qualification: Matriculation or equivalent from a Recognized Central or State Board and having experience of cooking from a recognized Institution. Age: Minimum age for all posts is 18 years (min) and maximum age is 43 years (General), 46 years (OBC/MOBC), 48 years (SC/ST) and 53 years (PWD). How to Apply: refer to the official advertisement.